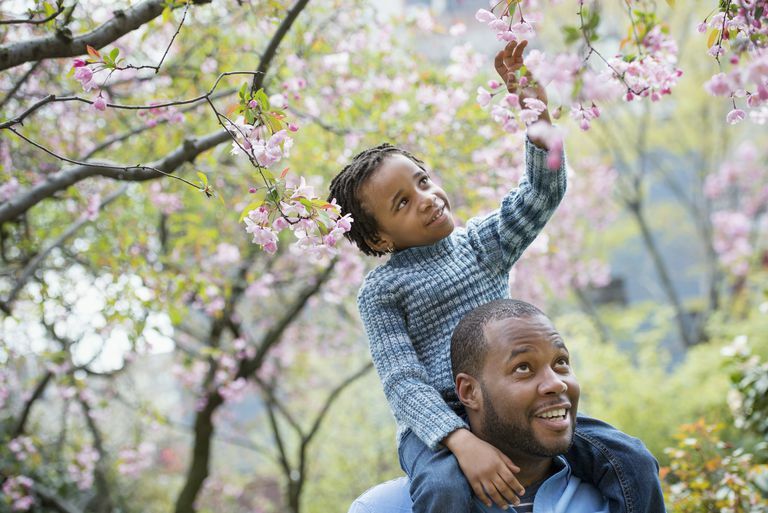 Spring is the most common time of the year for people to experience seasonal allergy symptoms. As the weather gets warmer and plants start to bloom, trees and grasses release pollen into the air, triggering allergic symptoms in those with seasonal allergies. Colorful flowers also bloom in the spring and are often blamed as the cause of spring allergies. In addition to plants, exposure to pet rabbits received as Easter presents may also be a reason why allergy symptoms can flare during the spring. Spring pollen allergies are usually a result of pollen from trees, which can start pollinating anytime from January to April, depending on the climate and location. Trees that are known to cause severe allergies include oak, olive, elm, birch, ash, hickory, poplar, sycamore, maple, cypress, and walnut. While some trees may release pollen to some degree in the fall, elm is the major tree known to pollinate mainly in the fall season. Grass pollen can also cause allergies in the late spring and early summer months. Grass pollen is highest during these times, although grass may cause allergies through much of the year if someone is mowing the lawn or lying in the grass. Contact with grass can result in itching and hives in people who are allergic to grass pollen – this is called contact urticaria. Many people with nasal allergies blame their springtime hay fever symptoms on brightly colored flowers, but these might not be the cause of their symptoms. Most plants with bright flowers do not cause significant allergy symptoms unless a person places their nose directly into the flowers and takes a big "whiff." This is because plants with bright flowers rely on insects to pollinate them, rather than the wind. The reason why people with spring hay fever get worse when the brightly colored flowers bloom is because of the pollen that they can't see – which just happens to be around at the same time as the beautiful flowers. While having a rabbit for a pet is less common than owning a dog or a cat, non-traditional pets are becoming more popular. During the Easter season, rabbits may be given as gifts. But allergies to pet rabbits can occur, and having the kids experiencing an allergic reaction due to the pet bunny would be an unwanted surprise on Easter morning. Positive allergy testing to rabbit dander is not uncommon, and allergy symptoms, when exposed to rabbits, can include allergic rhinitis, asthma, and even hives. Not much is known about rabbit allergens, except that they are present in the animal’s hair, dander, and urine. Learn all about summer allergies, fall allergies, and winter allergies. Phillips JF, Lockey RF. Exotic Pet Allergy. J Allergy Clin Immunol. 2009;123:513-5. Esch RE, Bush RK. Aerobiology of Outdoor Allergens. In: Adkinson NF, Yunginger JW, Busse WW, et al, eds. Middleton’s Allergy Principles and Practice. 6th edition. Philadelphia: Mosby Publishing; 2003:529-56.